~ Aviation. Life. People. Travel. Photography. Books. A Vietnamese budget airline, which was launched just four years ago, was the top newsmaker on the third of the Dubai Airshow. The Ho Chi Minh City-based Vietjet announced an order for 30 Airbus A321s. 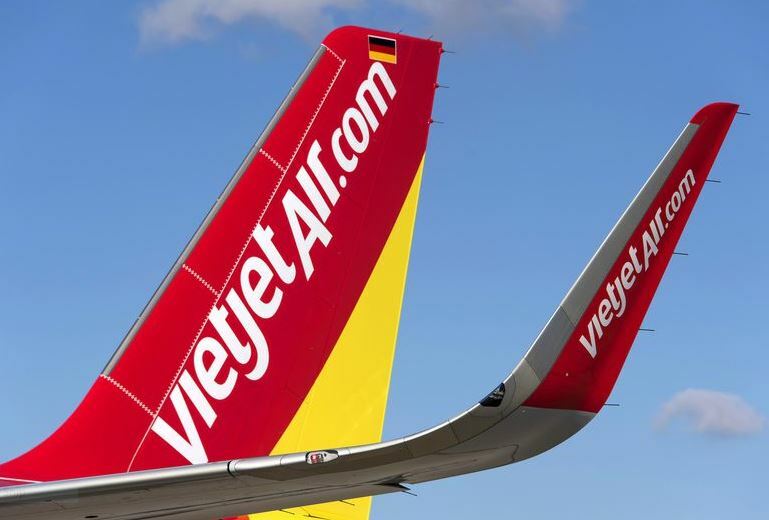 Vietjet already operates a fleet of 29 A320s and with Tuesday’s announcement, the airline has placed firm orders for a total of 99 A320 family aircraft. Airbus also won an order from Oman Air to upgrade the cabins of its A330s. This interior modernization will harmonize the airline’s business class cabins across its long range fleet and ensure the latest standards in its in-service A330s, Airbus said. The project is to be completed next year. Mercedes-Benz Style and Lufthansa Technik AG unveiled their new VIP cabin design to initial customers. The two German companies said they had been working on the design since it was first announced at the European Business Aviation Convention and Exhibition in Geneva in May. “The floor plan presented here visualizes the typical Mercedes-Benz modern luxury combined with Lufthansa Technik’s highest quality design approach,” said Walter Heerdt, senior vice-president at Lufthansa Technik. 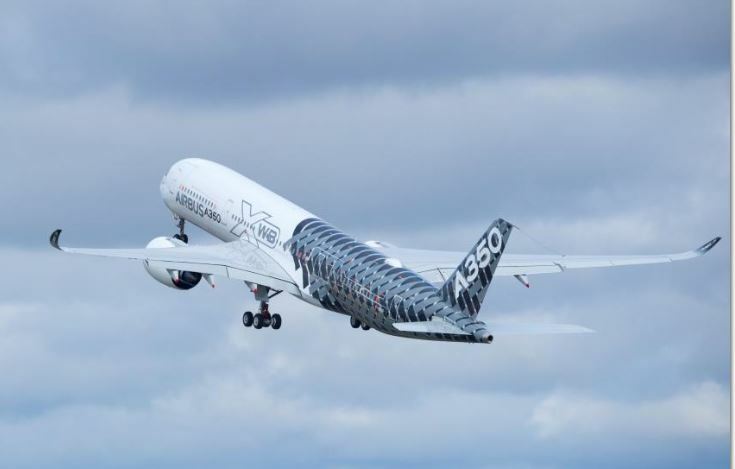 The images are courtesy of Airbus and Lufthansa Technik. Emirates has announced the biggest deal yet of the 14th Dubai Airshow — the UAE national carrier has signed a US$16 billion agreement with GE Aviation for the maintenance, repair and overhaul of the GE9X engines that will power the airline’s fleet of 150 Boeing 777X aircraft over a period of 12 years. 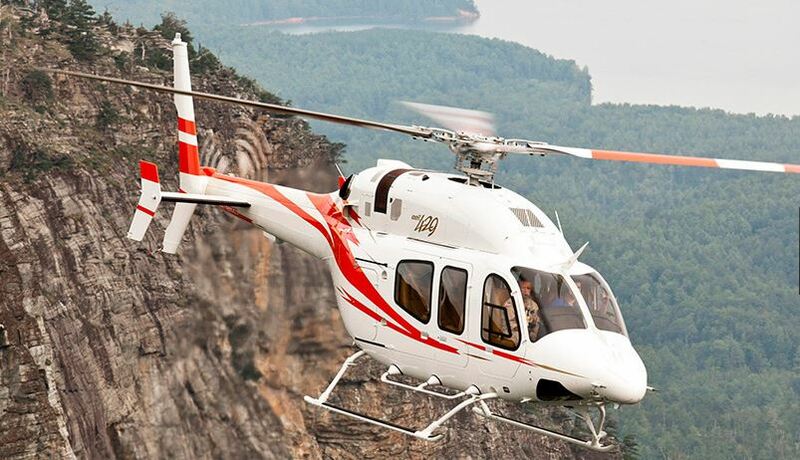 This is the airline’s single largest engine MRO contract to date. 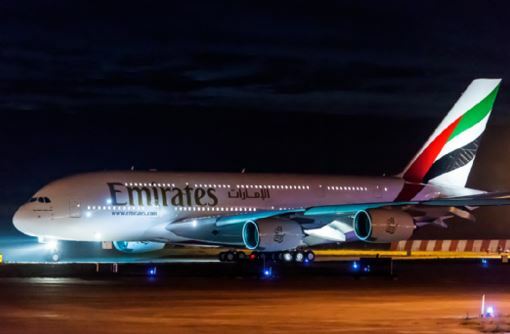 Emirates ordered the 150 aircraft at the last show in 2013. Earlier Monday, Indian carrier Jet Airways announced an order for 75 Boeing 737 MAX 8 airplanes. The order includes options and purchase rights for an additional 50 aircraft, Boeing said. 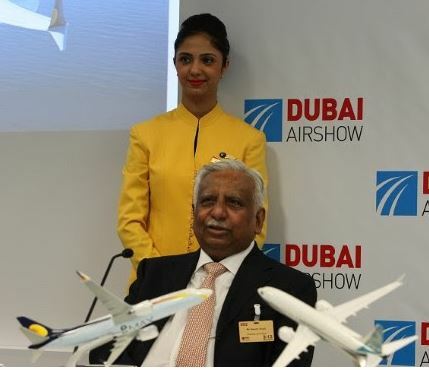 “Incorporating the latest design and technology features, the highly efficient 737 MAX will allow us to drive our operational efficiency and reaffirms our commitment to providing a best-in-class full service travel experience to our guests,” said Naresh Goyal (below), chairman of Jet Airways. 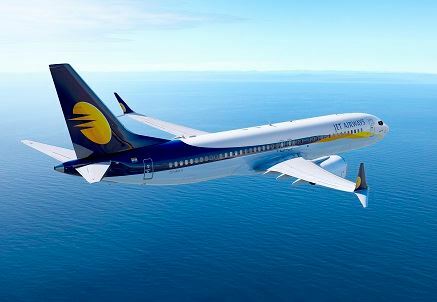 Jet Airways will be the first airline in India to take delivery of the single-aisle aircraft, said Ray Conner, president and CEO of Boeing Commercial Airplanes. “The 737 MAX will bring new standards for fuel efficiency and economics, and a premium passenger experience to Jet Airways.” The deal is worth about $8 billion. 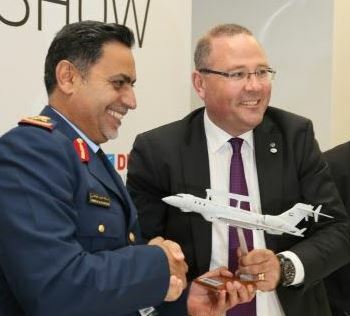 The UAE Air Force announced the purchase of two new Saab Global 6000 long-range surveillance aircraft. Under the $1.27-billion deal, a further two Saab 340 jets already in UAE ownership will undergo systems upgrades. 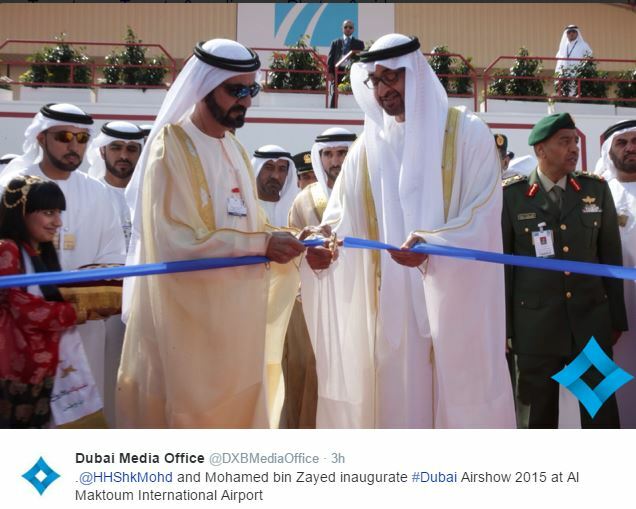 Meanwhile, GE Aviation announced the opening of its Middle East Aviation Technology Center in Dubai. 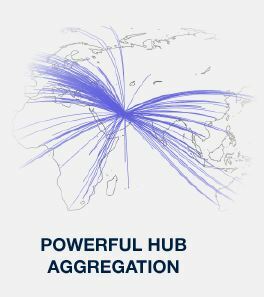 It will serve as a regional customer and product support hub. 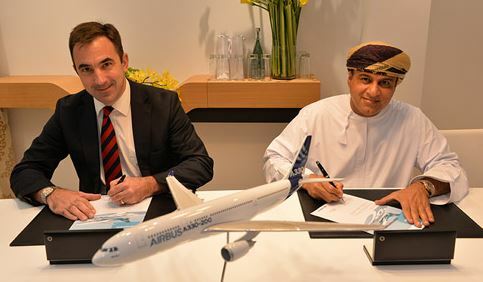 Bombardier Commercial Aircraft signed a memorandum of understanding with Abu Dhabi Aviation to work towards the establishment of Abu Dhabi Aviation as an authorized service facility for the Q Series aircraft. “When a final agreement is reached, Abu Dhabi Aviation will become the first ASF for Q Series aircraft in the Middle East and will offer line and base maintenance services,” Bombardier said. A 3D-printed drone, billed as the world’s fastest, largest and most complex, was unveiled Monday as part of the 3D Printshow. The jet-engine powered aircraft took just two months to create and can break speeds of 320 kilometres an hour, the show organizers said. It was manufactured by 3D printing-technology leader Stratasys. “This is the final piece in the puzzle for aerospace and we’re really excited to present it today,” said Jay Shelby of Stratasys. The images are courtesy of Boeing, GE Aviation and F&E Aerospace. 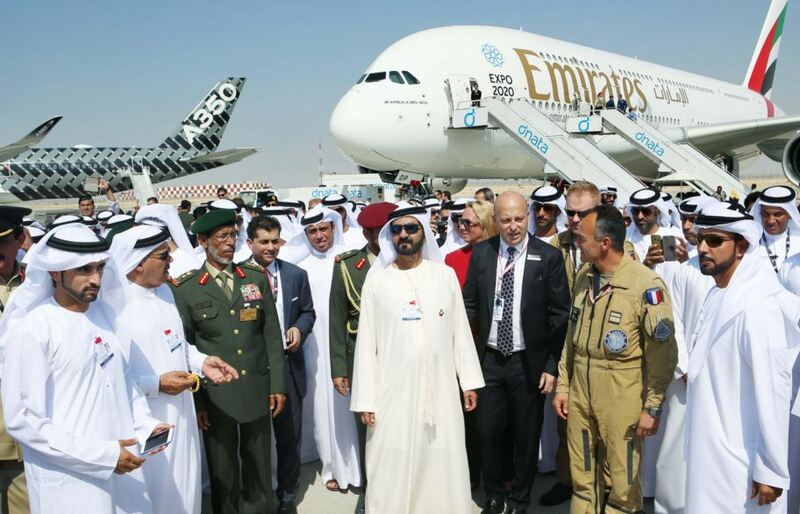 A few images from Sunday’s opening of the 14th Dubai Airshow by the emirate’s Ruler, Sheikh Mohammed bin Rashid Al Maktoum. Visiting the brand new two-class Emirates Airbus A380. Touring Qatar Airways A380 with the airline’s GCEO, Akbar Al Baker. Touring the CS100 with Fred Cromer, president of Bombardier Commercial Aircraft. At the UAE Space Agency pavilion. The images are courtesy of F&E Aerospace, Emirates, Qatar Airways, Bombardier and the UAE Space Agency. 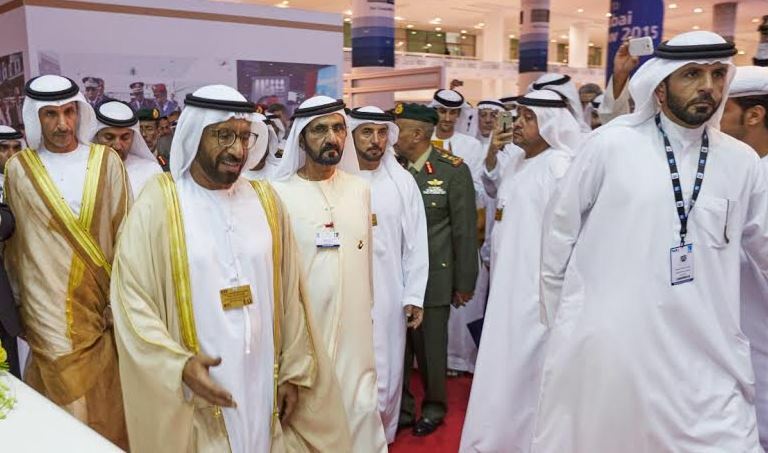 The focus was on partnerships rather than mega deals as Dubai 2015 opened Sunday with more than 1,100 exhibitors from around the world descending on the city to showcase their products. Aircraft orders worth more than US$200 billion were announced at the previous show in 2013, but analysts say they don’t expect any major deals this time as airlines have ordered enough airplanes to meet their demands. Instead, manufactures like Boeing and Airbus are expected to announce partnerships with regional aerospace companies. The UAE Space Agency is one of the new exhibitors at the show. The government organization was created last year to regulate and support the country’s space sector. 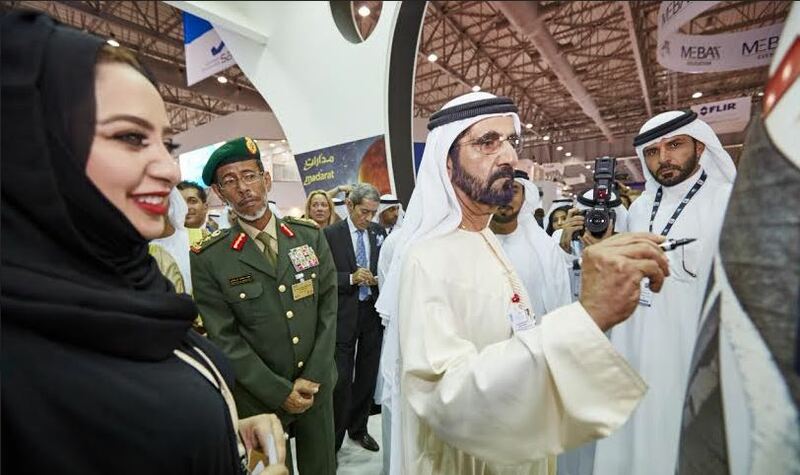 Dubai Ruler Sheikh Mohammed bin Rashid Al Maktoum, who opened the airshow, also toured the space agency pavilion. 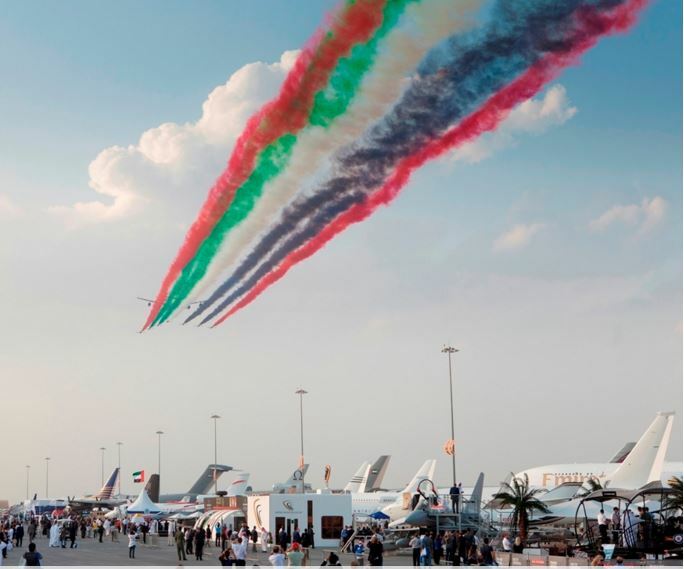 “With the addition of the UAE Space Agency to our existing exhibitor list, we have added yet another dimension to the Dubai Airshow,” said Michele van Akelijen, managing director of F&E Aerospace, the organizers of the Dubai Airshow. Dubai 2015 has also added a dedicated 3D print pavilion, 3D Printshow Dubai. “With (3D printing leader) Stratasys recently reported to have 3D printed more than 1,000 in-flight parts for the Airbus A350 XWB aircraft and GE already developing and testing engines with 3D printed parts, the technology is a natural fit for inclusion in the Dubai Airshow,” the organizers said. 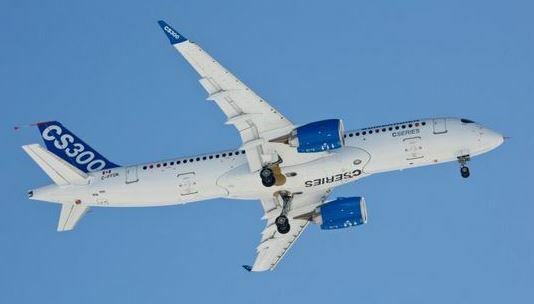 Bombardier Commercial Aircraft announced that the CS100 flight test program is almost complete. “Only a few tests remain to be completed and Bombardier is on track to have the aircraft certified this year with Transport Canada,” said president Fred Cromer (right). 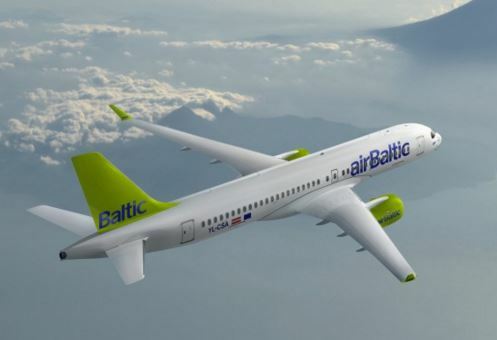 Bombardier also announced that Riga, Latvia-based airBaltic will be the launch customer of the CS300 aircraft when it takes delivery in the second half of 2016. The Latvian flag carrier has 13 CS300 aircraft on firm order and retains options for seven CS300 aircraft. “Bombardier’s CS300 airliners are integral to the execution of airBaltic’s business development strategy and fleet optimization plan,” said Martin Gauss, CEO of airBaltic. “The CS300 aircraft has exceeded our expectations in terms of its noise and emissions footprint, aligned with airBaltic’s low environmental impact vision, ” he added. The show runs until Thursday. Images are courtesy of Dubai Media Office, UAE Space Agency, airBaltic and Bombardier. The CS100 photo is by Abdul Latheef. 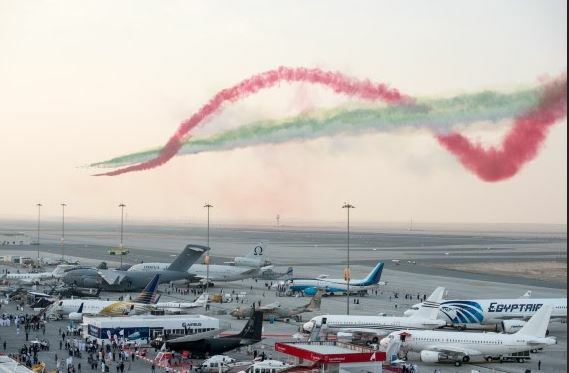 The 14th edition of the Dubai Airshow opens on Sunday. DAS 2015 is the biggest in the show’s history. More than 160 aircraft will be on display at the five-day show. Featured below are some of them: The first two-class configured Emirates A380, the Sukhoi Superjet 100, the Bell 429, the Boeing 787 Dreamliner, the Airbus A350XWB, the Bombardier CS100, the Bombardier Global 6000, the Gulfstream E650ER, the Embraer Legacy 650, the Dassault Falcon 9000LX and the Embraer Phenom 100. Images are courtesy of their respective owners. The all-new CS100 is going to Dubai, after all. Learjet 75, Challenger 350 and Global 6000 to the Dubai Airshow. 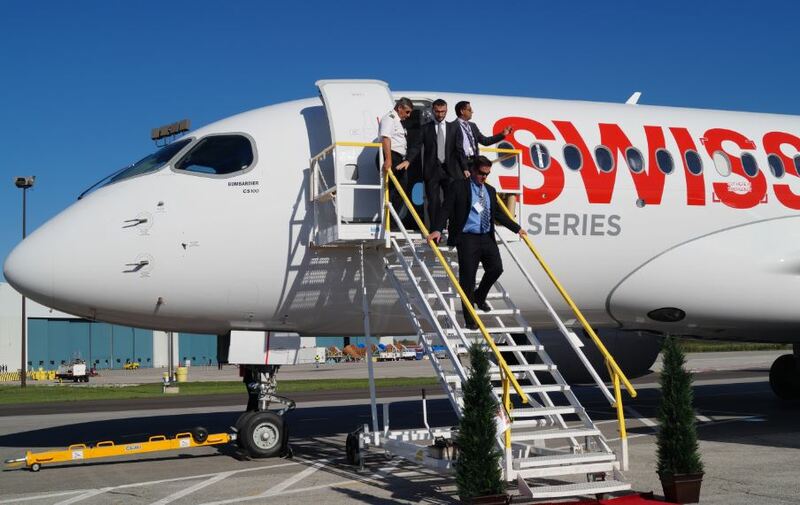 Today, the Canadian aircraft maker announced that the CS100, in the livery of launch customer SWISS, will be on static display at the show. The Bombardier lineup will also feature a CRJ900. “Recognized worldwide as a premier venue for meeting key industry leaders, the Dubai Airshow also represents a great venue and opportunity for us to display our lineup of aircraft and provide an update on the exciting developments ongoing with C Series aircraft’s certification program,” said Fred Cromer, president of Bombardier Commercial Aircraft. 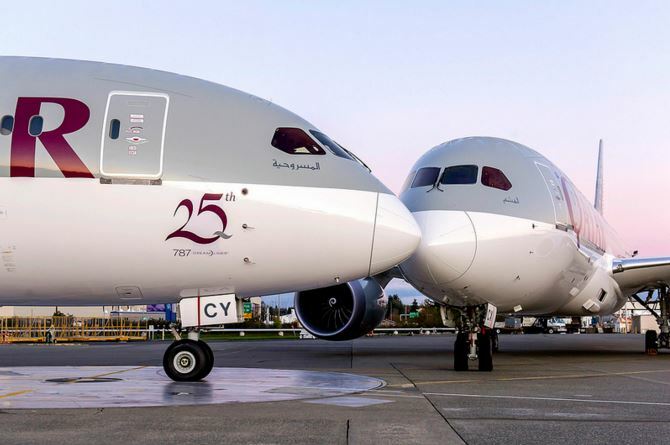 The CS100 and CS300 made their airshow debut in Paris this summer, but Bombardier was unable to win any new orders at Le Bourget. Cost overruns, long delays and most crucially a lack of new orders have beset the CSeries program. The CS100 can carry up to 125 people while the bigger version, the CS300, is meant for up to 160. 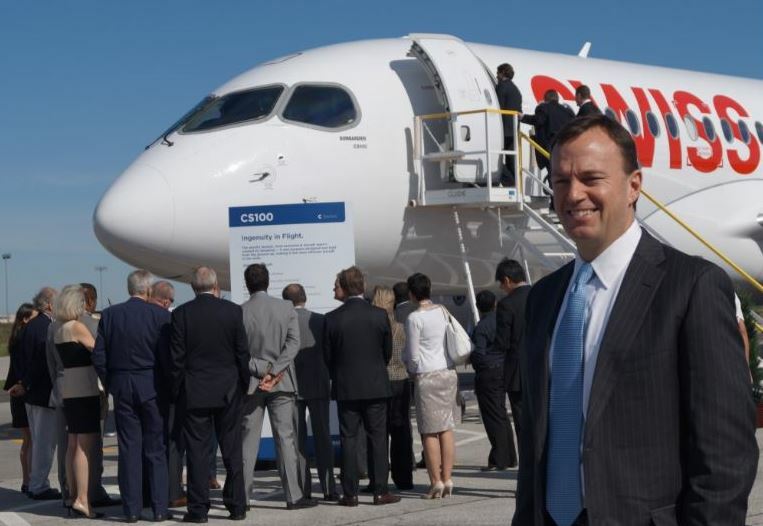 In all, Bombardier has won 243 firm orders for the CSeries aircraft, 180 of them for the CS300. Meanwhile, Emirates Flight Training Academy has signed a firm order for five Embraer Phenom 100E business jets, with options for five more aircraft. Deliveries are scheduled to begin in 2017. A Phenom 100E in the Emirates Flight Training Academy’s livery will be on static display at the Dubai Airshow, which runs from Nov. 8 through Nov. 12. The organizers say more than 160 commercial, business and military aircraft will be on display at the show. The Phenom 100E image is courtesy of Embraer. The inaugural flight on Oct. 25, 1985. 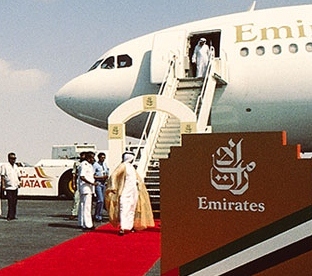 Dubai’s Ruler Sheikh Mohammed bin Rashid Al Maktoum marked the 30th anniversary of Emirates airline last month with a bold statement. 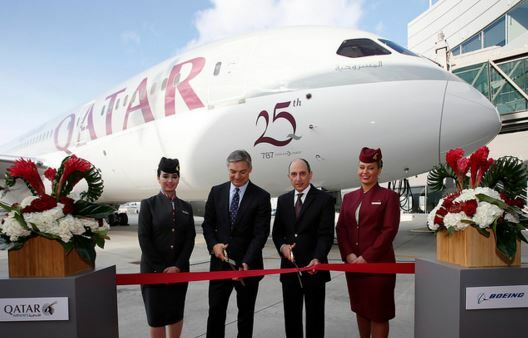 He noted the airline’s humble beginning in 1985 with two leased airplanes and its exponential growth in the past three decades, becoming one of the world’s largest airlines with 240 aircraft in service and another 267 on order. Today, the world’s largest manufacturer of airplanes predicted that airlines in the Middle East will need 3,180 new airplanes, valued at $730 billion, over the next 20 years. According to the Boeing Current Market Outlook, released ahead of next week’s Dubai Airshow, 70 per cent of that demand is expected to be driven by rapid fleet expansion in the region. Single-aisle airplanes will command the largest share of new deliveries, with airlines in the region needing more than 1,400 aircraft, Boeing said. 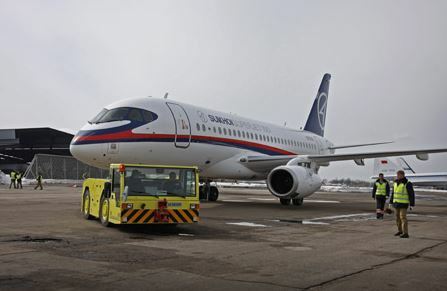 Twin-aisle aircraft will account for a little under half of the region’s new airplane deliveries over the 20-year period, compared to 23 per cent globally, it added. 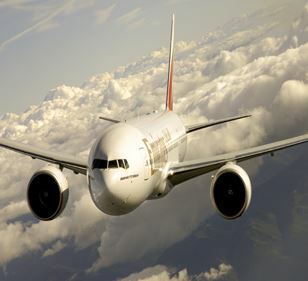 “Traffic growth in the Middle East continues to grow at a healthy rate and is expected to grow 6.2 per cent annually during the next 20 years,” said Randy Tinseth, vice-president at Boeing Commercial Airplanes. There is a reason for such rapid growth. “About 80 per cent of the world’s population lives within an eight-hour flight of the Arabian Gulf.” Tinseth said. 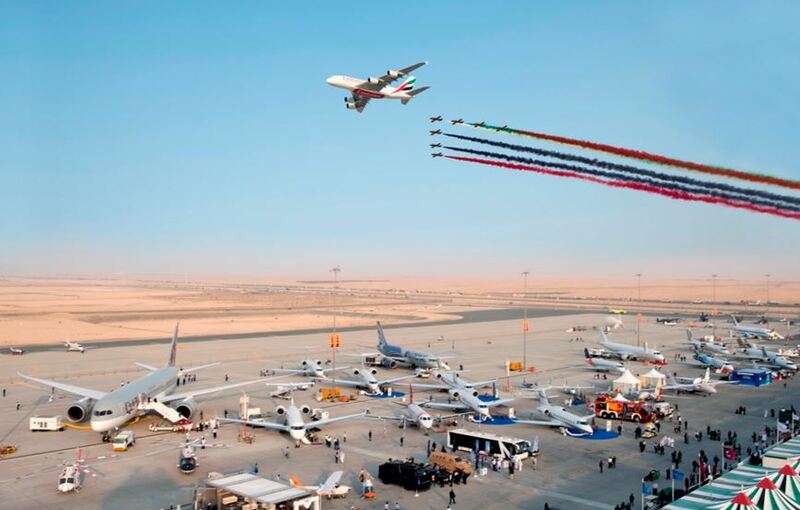 The Dubai Airshow runs from Nov. 8 through Nov. 12. Images are courtesy of Emirates and Boeing. 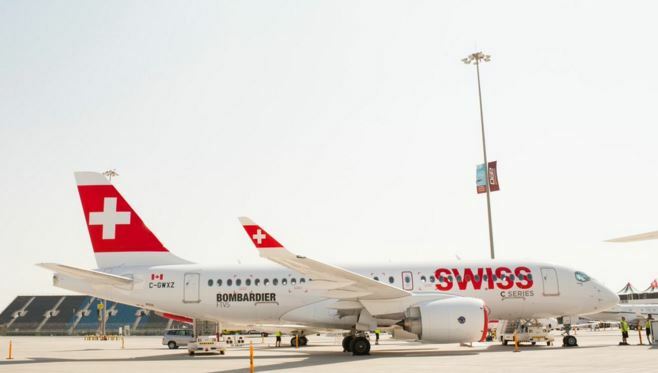 Bombardier will be showing off a few of its airplanes at next week’s Dubai Airshow, but the brand new CSeries aircraft will not be among them. A list of aircraft that will be on display at the show released by the organizers does not include the CS100 or the CS300. Instead, the Canadian manufacturer is sending the Q400 turboprop, Learjet 75, Challenger 350 and Global 6000 to one of the world’s premier airshows. 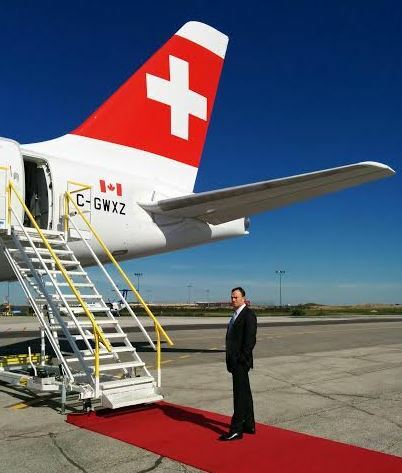 The CSeries aircraft made their airshow debut in Paris this summer, but Bombardier was unable to win any new orders at Le Bourget. In an effort to resuscitate the CSeries, the Quebec government announced last week that it will invest US$1 billion in the program in exchange for a 49.5 per cent stake in a newly-created partnership. 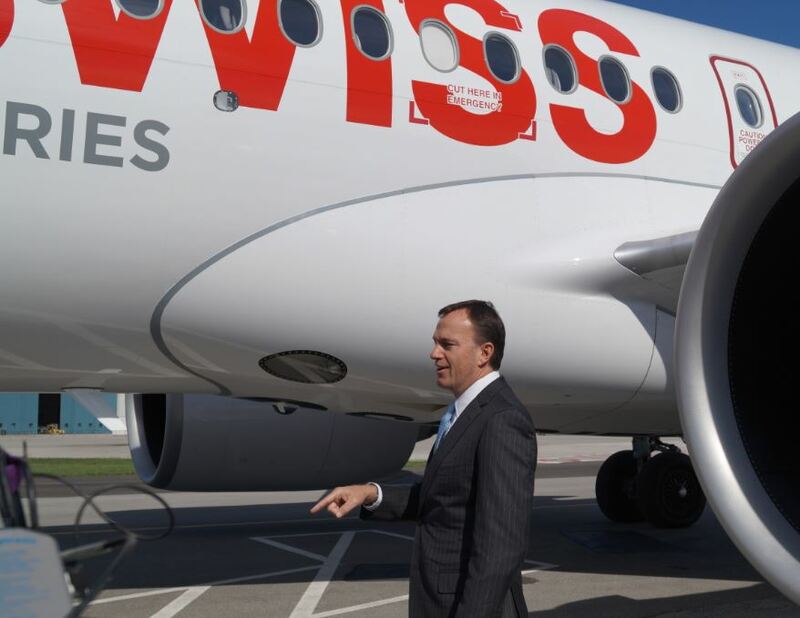 “This partnership comes at a pivotal time, with the CSeries on the verge of certification,” said Alain Bellemare, president and CEO of Bombardier Inc., in announcing the deal. Quebec has also asked the Canadian federal government to match its investment in the single-aisle aircraft project. Orders worth more than US$200 billion were announced at the last show in Dubai, but analysts say no mega deals are expected this time. 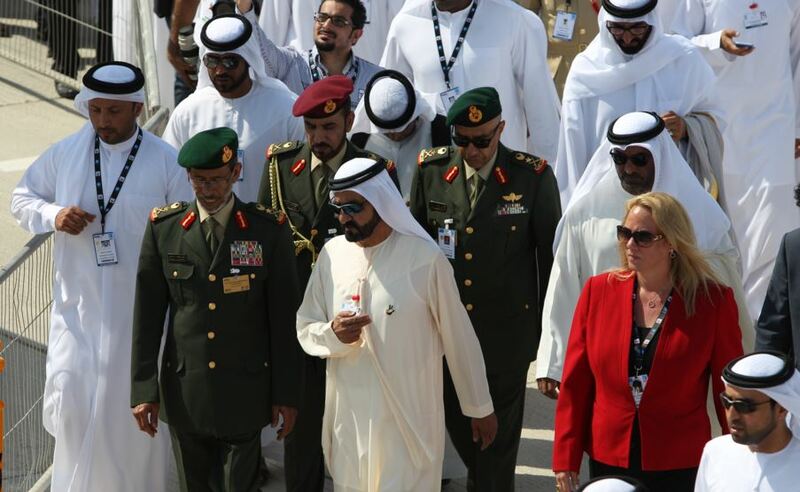 Images are courtesy of Dubai Airshow and Bombardier. Emirates is set to launch the world’s longest non-stop flight, from Dubai to Panama City, in February. 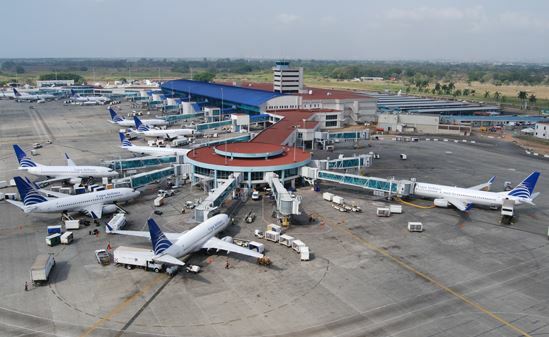 The flight from the Gulf emirate to the capital of Panama will last 17 hours and 35 minutes, the airline said Thursday. Currently Australian carrier Qantas holds the record for the longest flight, one that links Sydney with Dallas in just under 17 hours. 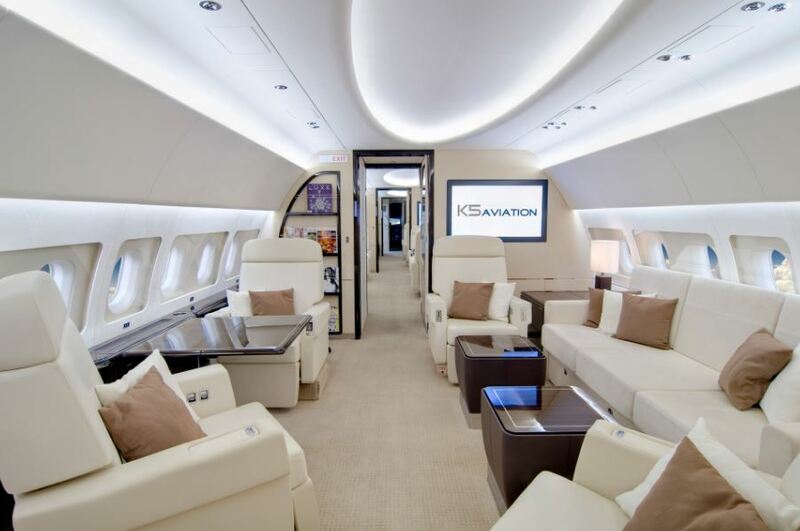 The daily flight will be operated by a Boeing 777-200LR in a 3-class layout — eight in First, 42 in Business, and 216 in Economy, the company said. “Panama City will be our first destination gateway in Central America, providing a convenient option for our passengers travelling from or through our global hub in Dubai and onward to destinations throughout Central America, the Caribbean and the northern part of South America,” said Emirates chairman Sheikh Ahmed bin Saeed al Maktoum. Flight EK251 will depart Dubai at 08:05 and arrive in Panama City at 16:40 daily. The return flight, EK252, will leave Panama City at 22:10, arriving in Dubai at 22:55 the next day. “It is gratifying to see how diplomatic efforts focused on generating development and prosperity for Panama materialize,” said Isabel Saint Malo de Alvarado, vice-president of Panama. Emirates has 235 aircraft in its all wide-body fleet. The airline flies to 147 destinations in 81 countries. Images are courtesy of Emirates and Tocumen International Airport. Dubai is a hot destination for many airlines, but not so for Austrian Airlines. Not anymore. The Lufthansa subsidiary announced Monday it will stop offering direct flights from Vienna to Dubai as of September in the wake of intense competition and price wars. 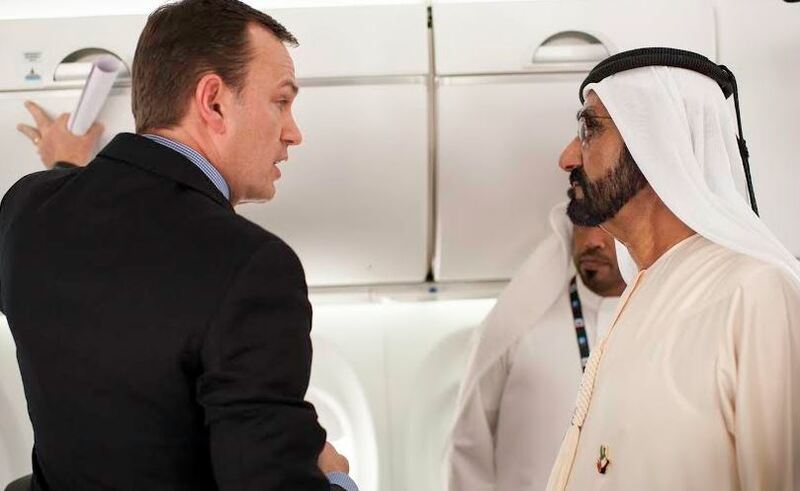 “Unfortunately, the Vienna-Dubai route has become unsustainable for us,” said CCO Andreas Otto. Austrian, which began flying to Dubai in 1996, said up to 800 seats per day were on offer on the Vienna-Dubai route. The last Austrian flight to Dubai will be on Sept. 13, returning home next day. “The capacities which will become available will be deployed for attractive, new destinations, such as Miami, Mauritius and Colombo starting in October,” Otto said. The image is courtesy of Austrian Airlines.